Specifically designed for college athletes who want to get in a great summer of training without sacrificing the opportunity for a summer internship and living/traveling abroad. Be more than a tourist. 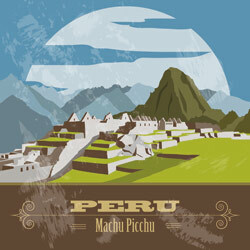 Immerse yourself in the Sacred Valley, learn about Peruvian culture, and explore the surrounding area. Don’t just do service; learn about service. Take part in meaningful, community-driven projects and learn about how set up projects to serve others in an ethical way. Train at high altitude along beautiful dirt roads at over 9000 ft (2800 m) and learn from your fellow interns and leaders how to take your athletics to the next level. Enjoy near perfect weather: consistent cool, dry mornings and warm, sunny afternoons. Take on one or both types of STRIVE internship. Developmental Programs with a focus on educational development in leadership, athletic training, coaching and service learning, with no interaction with the STRIVE high school students (allowing more time to focus on your own individual athletic training). Service: STRIVE is a service learning program for athletes, and thus, the service always comes first. This means service comes before training; every once in a while you might have to get up a bit earlier to complete your training if we have a full day of meetings or projects. We are committed to both educating our interns and high schoolers about responsible, ethical service and helping to make a positive, lasting impact on the communities in which we work. You’ll spend around 2-4 hours per day learning about and later planning, preparing, and undertaking a variety of projects. Bringing an open mind and positive attitude to these projects is a must. Mentorship: For interns taking part in the Mentorship Program (i.e. when STRIVE high school students are present), an important part of the intern experience is acting as a mentor for these younger STRIVErs. Each and every one of our high schoolers looks up to you as a role model and has a million questions about college, athletics, or life in general. Each day we ask that you be available to run/exercise/play sports with our students (one morning session and one afternoon session). Please keep in mind that if you are a college athlete, these runs or workouts may be less rigorous than what you are used to and this may be another example of where your personal training will come second. Additionally, we’ll have activities in the evenings which you guys will help organize and lead; these might be watching a movie, playing cards, or even a swing-dance lesson (if you feel like teaching it)! The final mentoring responsibility will be giving a “STRIVE-talk” to your fellow interns and the group of high school students. This is your opportunity to have the floor where you’ll choose a topic that’s meaningful to you and give a short talk and Q&A session – always a highlight for interns, STRIVErs, and staff alike! Social Media: An important part of STRIVE is sharing what we are doing on the ground (the service learning, travel, and daily program life) with family and friends of current STRIVErs as well as past and future participants. You will have a turn at the helm of the blog and Facebook/Instagram/Twitter feeds, which should be updated on a daily basis. A second portion of our social media is getting video clips and photos of you and our kids exercising, teaching, or simply answering questions about their experience with STRIVE. Exploration/Research: Get out and explore! Scouting out new hiking trails, running routes, and activities around town that the whole group can take advantage of will be an integral part of your role. We might even send you on a research mission to find a tractor that we can rent for a project we’re working on or (if you speak Spanish) to the next town over to be interviewed on the radio about an upcoming event we’re hosting. Having extra minds around to help us solve problems is an invaluable part of our intern program. Training: Finally, for some of you, the most important part. You will have the incredible opportunity to train in one of the most idyllic settings on this planet. Living and training at altitude (and boosting your aerobic ability) and training on soft surfaces all summer are just some of many benefits of training as a STRIVE intern. We hope that you’ll not only get fit but also learn about training from our coaching staff and from each other. We’ve had STRIVErs run up to 140 miles/week but keep in mind that running that much at high altitude is going to wear you out and you will be need to be extra careful that you are getting enough sleep and food. Most of our interns fall somewhere in the 30-90 miles per week range and find that it’s pretty easy to get that amount of training in per week. Keep in mind that training is entirely optional. If you simply want to be a part of our service program and help mentor our students, that’s just fine with us! 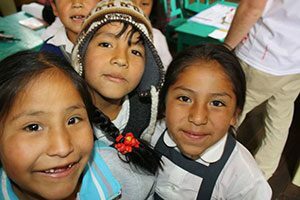 Outreach: Before your time in Peru or Kenya, we’ll ask you to do some outreach to help share STRIVE’s mission and goals with other student athletes who might be interested in the program. This could be as simple as having a conversation with your high school coach or something more formal like hosting an info session in your hometown. It should be fun and relaxed and mostly an opportunity for you to share your excitement about your upcoming internship with STRIVE! 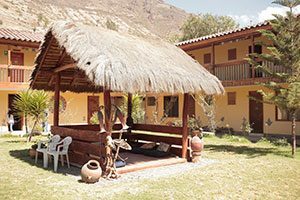 Lodging: Welcome to Pisac! You’ll stay at the beautiful Chaska Wasi Hotel, a tranquil location on the bank of the Urubamba River with the rooms set around a beautiful, sunny courtyard perfect for a game of cards, a solitary core session, or a group meeting. Rooms are basic two- to four-person dorm style with shared bathrooms. Hot water is (in theory) available consistently, though, in practice, even the finest hotels in Peru can struggle to deliver consistent water temperature and pressure on a daily basis so be prepared for a very, very cold shower some days or maybe no shower at all if the town of Pisac has turned off the water for the day! Food: As an intern, you will receive a weekly cash stipend for your food. This is easily enough money to eat three hearty meals per day from cooking or eating at local restaurants. If you want snacks or drinks (other than water) those will be extra, though if you budget smartly, you will easily be able to afford some of those things. If you want to eat more “touristy” or “American” food (think: pizza and burgers), it will not be enough money to fill you up, especially if you are running 70+ miles per week. Interns often have breakfast in the market or cook in the hotel kitchen (eggs, oatmeal, fruit, yogurt, cereal, etc. ), lunch somewhere local in town (a typical “menu” with soup and entree), and have a home-cooked dinner with the group together at our home-base. 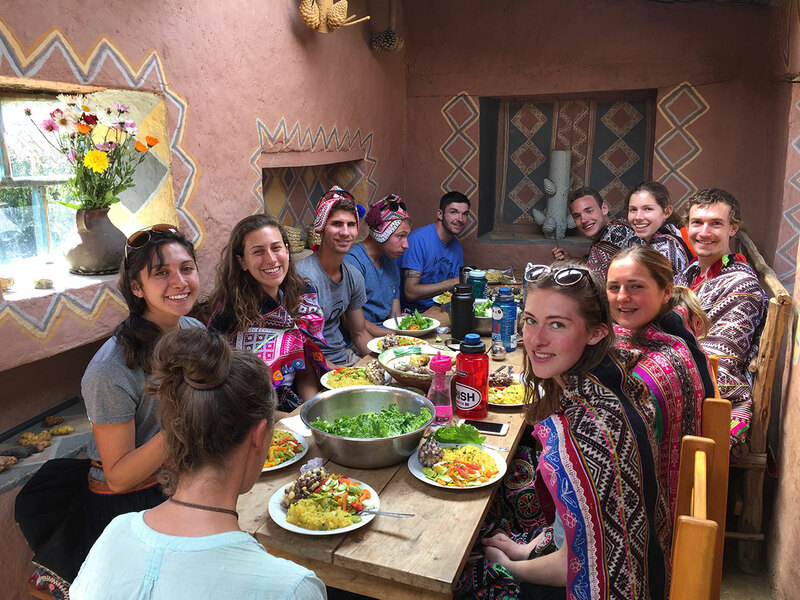 Interns will receive a training module on food budgeting during their first week in Pisac and by the end of this training everyone should be professionals in navigating the meals of Pisac. If you take this budgeting course to heart, it should leave you with extra money each day, allowing you to “splurge” sometimes for a “touristy” dinner, snacks, or dessert! The following are a few examples of what an average day will look like while you are on the ground and part of our programs. Keep in mind that your schedule will vary from day to day and come prepared with an eagerness to learn and be open-minded and flexible. Remember that you will be visiting, serving and living in a place that is likely very culturally different from home. Plan to be busy while in country as your days will be filled with activities, service projects, workshops and much, much more. Daily schedules are similar in Peru and Kenya. We, at STRIVE, are committed to ensuring all of our participants have a wonderful time and with that in mind each group will be able to craft their daily and weekend schedules to some extent. We welcome and value feedback, and as long as your ideas and suggestions align with the values and mission of STRIVE, we will do everything we can to make sure those activities and ideas are put into action. 7:30am: Meet with group for a morning run or workout session. What are the needs of schools/projects? How can we divide labor? Where are we most useful? 7:30am: Morning runs/workouts with our High School students. Note: Weekend schedules will generally look a lot different and will likely include a day trip to an exciting location or occasionally a rest and relaxation day to regroup from a busy week of service, athletics and adventure. Your program fee includes: accommodation, 3 meals per day, 24-hour-a-day support both on the ground and in the US (including a designated Intern Group Leader who will work specifically with STRIVE interns), your volunteer placement and support, and access to on-call US based medical staff. If you are planning on running 70+ miles per week, you should understand that you may need to supplement your three meals per day with snacks and other extras to make up for all of those calories you’re burning on a daily basis. See “All the Details” tab for more information regarding meals. Applications are processed and interns are accepted on a rolling basis. If you’re interested in applying, please contact us as soon as possible, before submitting your application, to let us know you plan to apply. **Note: While we encourage interns to stay for the full length of the program and preference in the application process will be given to those that commit to the full program, we do accept applications from interns who for financial or scheduling purposes can only attend a portion of the program. Please contact us if you are interested and we’ll chat about the options that are available based on the program needs and values. When can I apply? When will I hear if I’ve been accepted? We take applications for the STRIVE College Intern Program on a rolling basis. The earlier you apply, the better chance you have of being accepted. In general, our programs start to fill around the end of the calendar year, so you should be thinking about applying in the fall. That said, sometimes we still have openings at the last minute and have taken qualified applicants as late as April and May. Just email or call us if you’re considering applying and we’ll let you know if there’s still space! What’s the difference between Developmental and Mentorship Internship programs? The biggest difference is the presence of STRIVE high schoolers during the Mentorship programs. These programs feature a focus on interaction with our younger participants while the developmental programs mainly focus on the education of you, the intern, with regards to service, athletics, leadership, coaching, etc. The developmental programs often have more time for your own training, as well, since it’s just the intern group on the ground. The way that many summers work is that our interns will have the option to take part in both programs. Usually, the interns will arrive in early June and the first 4 weeks will be a developmental program with just interns and staff. After that, the high school group will arrive and the Mentorship program will begin. So, an intern staying 8 weeks (as most do) would be able to take part in both programs. If you don’t have the time to stay all 8 weeks, we have had interns stay for just one of the programs (or even, just a portion of one program). Who applies to this program? Do I need to be a serious athlete? Do I need to speak Spanish? We try to construct a team of interns that is strong in the sum of its parts and so our interns generally come from a variety of backgrounds. No, you don’t need to speak Spanish to apply. Of course, it will be helpful and help your application, but we don’t and can’t expect every intern to be a fluent Spanish speaker. Click on the “All the Details” tab for a full answer! See the “Typical Day” tab. 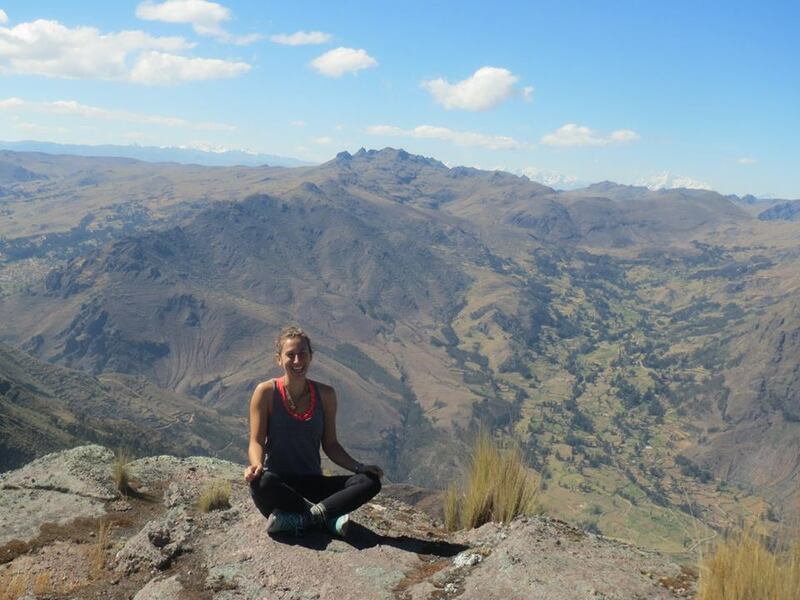 What’s the difference between an internship in Peru vs. one in Kenya? In many ways, the structure of the two programs is quite similar. The broad-strokes, day-to-day schedules will look relatively similar, the focus on service, athletics, and adventure is still there, the interaction with high schoolers is still there in mentorship programs. Both programs are located at high altitudes, have miles of dirt roads and trails to run on, and other exercise options available. That said, the countries themselves are quite different. The Sacred Valley in Peru is vast, dry, and located high in the mountains at 9,700 ft. while the Rift Valley in Kenya is greener (and thus a bit wetter) and lower, at about 7,800 ft. Kenya and Peru, though both developing countries, are also very different places from a cultural perspective. Pisac, where STRIVE-Peru is based, is probably slightly more developed than Iten. More tourism comes through the town and thus things like restaurants, internet, and hot water are a bit easier to find. Though it may be less developed for tourism, Kenya undeniably has the greater running culture – maybe the greatest on Earth – and Iten has some fantastic facilities. Where our groups stay in Kenya (Lornah Kiplagat’s High Altitude Training Centre) is equipped with a top-end wait and cardio room, pool, etc. 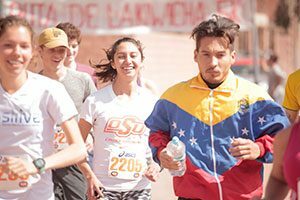 Moreover, the culture of athletics can be seen everywhere as literally hundreds of competitive runners parade down the roads each morning. There are few other places like it on Earth. 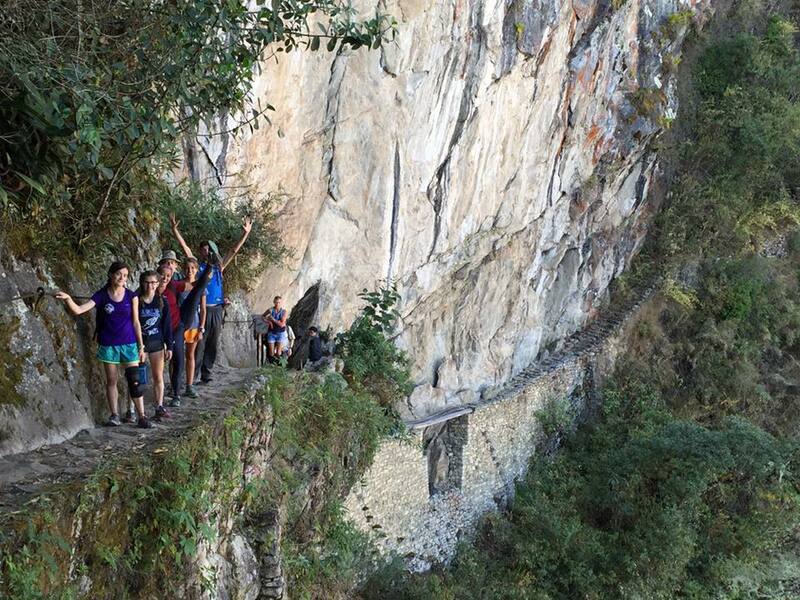 In contrast, we are very much creating our own running culture in the Sacred Valley. STRIVE has funded a gym which is part of the hotel where you’ll be staying and is equipped with weight machines, free-weights, stationary bikes, mats, etc. We also have a few mountain bikes you can take out on the roads. And between our staff (last year we had two professional runners on staff with Tyler Andrews and Meghan Peyton) and friends in Peru (Ty has befriended many of the elite runners in the region), we’ve got plenty of fast people to impart some wisdom and push you through your harder sessions. What are the weekends like? Weekends are very much up to the group. We like to give you guys as much freedom as possible and a big part of that is planning how you want to spend your free time. 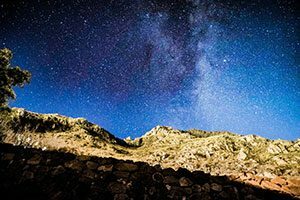 There is a ton of cool stuff to do and see in the Sacred Valley and the weekends are really your time to explore. Some people will likely want to do their longer runs on the weekends as well, but we’ve found this is easy to fit in. Spending a day in Cusco (the nearby big city) – exploring, shopping, checking out museums, the animal sanctuary, etc. One important note is that your program fee does NOT cover these outings (see Dates & Fees tab for details on what is/isn’t covered). Still, most of these activities are not super expensive. 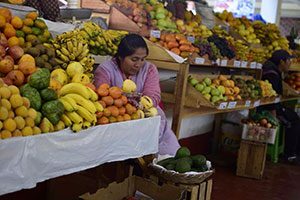 Going hiking costs nothing other than your food and water and even going into Cusco would only cost a few dollars in transportation costs. What will I eat? How do meals work? Can you accommodate vegetarians/vegans/other dietary restrictions? See the “All the Details” tab for a description of how food and meals work. And yes, we can (and have) had interns who have been vegan, vegetarian, pescetarian, non-gluten, non-dairy, you-name-it. If you have a very restrictive diet you may just end up eating a lot of the same thing, but it can be done. Let us know if you have any specific food issues about which you have questions. STRIVE does have our own financial aid program, but unfortunately aid is currently only available for our main high school programs. If you’re interested in the STRIVE College Intern Program but would struggle to pay the program fee, we’d recommend asking your school if they have any grants or stipends for unpaid internships. We’ve had many college interns pay for some or all of their expenses this way.